The Plumbing and Heating supplier Plumb Centre has added its support to the Scottish government’s boiler scrappage scheme by offering £50 towards the cost of a new Worcester Bosch boiler. At present eligible householders receive £400 if they buy a new boiler after the Scottish government added a further £7.5 million to the existing £65 million budget as a means of reducing fuel poverty in the country. The aim of the scheme is to provide over 18,000 householders with affordable central heating. In order for householders to be eligible for the additional Plumb Centre scheme, the Worcester Bosch boilers they install must be fitted by SNIPEF and Gas-Safe registered installers. As well as helping to tackle energy poverty, the scheme will also help Scotland to reduce its carbon emissions. The country prides itself on having one of the most ambitious emission reduction targets in the world, at present however there an estimated 250,000 homes in Scotland that have boilers of the least efficient type (efficiency of less than 70%). Plumb Centre isn’t the only company to be supporting the scrappage scheme. Scottish Hydro is also offering a discount of £50 on top of their existing £250 discount with 2 years free boiler and central heating cover for replacement boilers purchased under the scheme. Other companies such as Plumb and Parts Centre, Plumbing Trade Supplies, Scottish Gas and Vaillant are also helping out. The Carbon Trust recommends that you should always obtain more than one quote before making a decision as to which boiler you buy. You can then claim back £400 by returning the voucher issued by the government along with the invoice for the boiler. 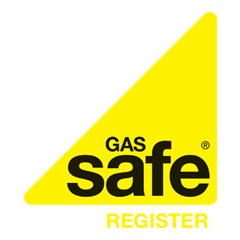 You must however wait until you have received a voucher before installing a new boiler otherwise you will invalidate your claim.